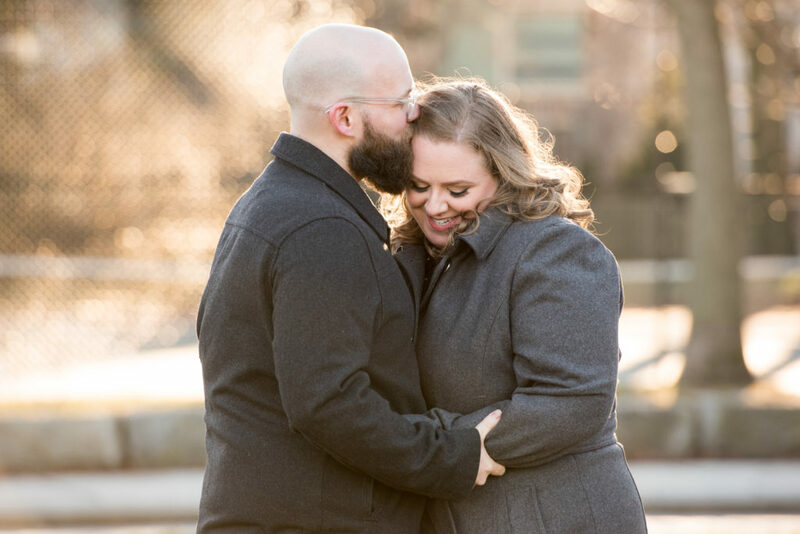 Jillian and Paul live in New York, but their fall wedding will take place in Jamaica Plain – my backyard! So while they were in town for some family and wedding stuff, we scheduled their Get to Know You Portrait Session. 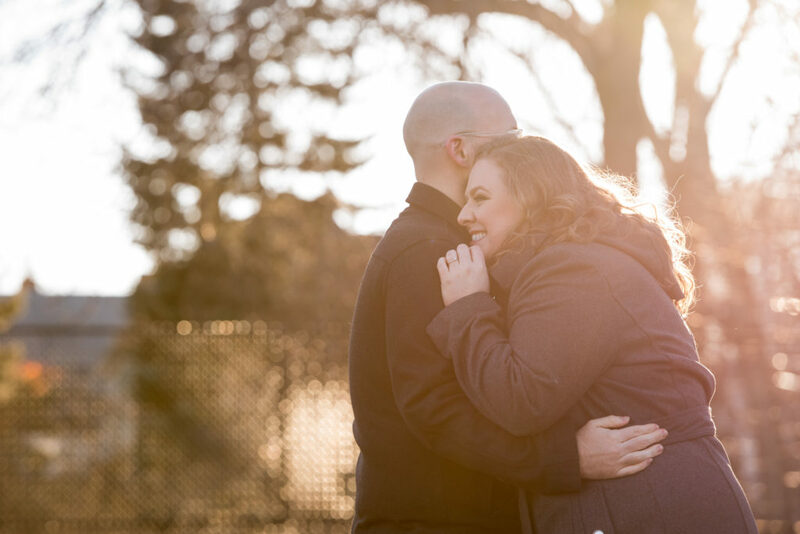 I LOVE doing these sessions with couples because, inevitably they’re a little nervous about being photographed, totally not into “engagement photos,” and have no idea what to expect. But it’s so fun! By the end of 45 minutes or so, they’re having a great time and actually enjoying the whole experience of being photographed. Jillian and Paul were no different. But they were colder, because it was like 20 degrees. Get to Know You Sessions are a critical part of my approach to wedding photography. Having a comfortable rapport with your wedding photographer means there is one less thing to make you nervous or anxious on your wedding day! 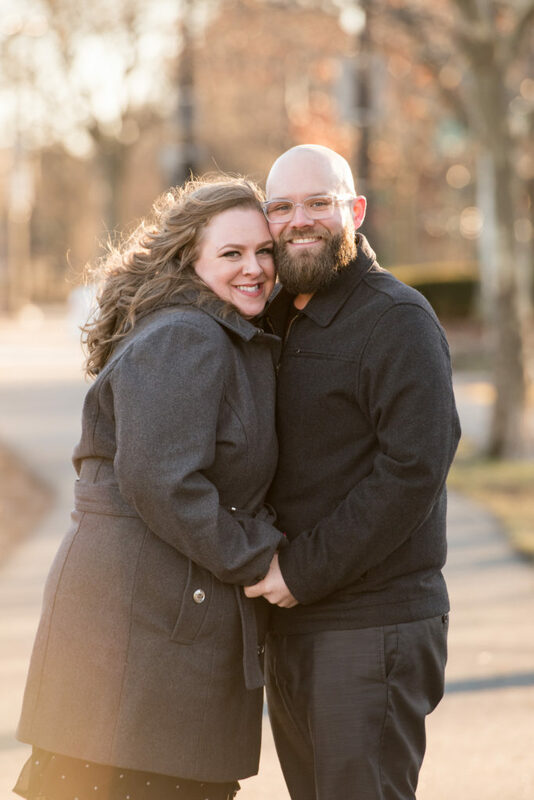 It allows me time to get to know them, hear their story, watch them together, learn about their relationship, and it gives the couple practice being photographed. And we end up with lovely, joyful photos like this. Win win!